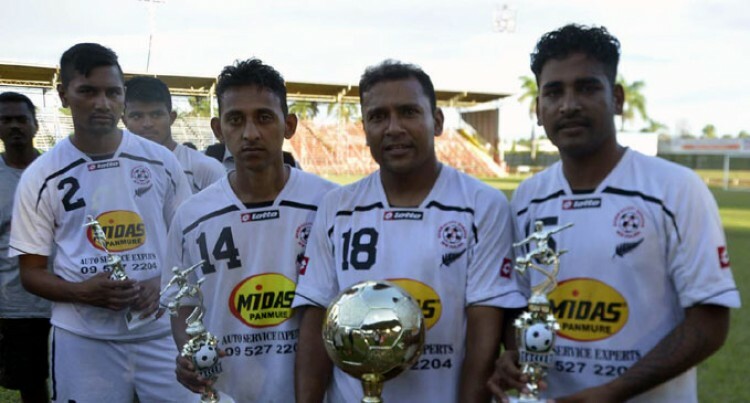 Manukau won the 56th Vodafone Shree Sanatan Dharm Inter-District Soccer tournament at Govind Park in Ba yesterday. What happened: Auckland-based Manukau defeated Labasa 3-0 in the final. Labasa started the match commanding the midfield better with good contributions from Ravinesh Karan Singh, Krishneel Krishna and former goalkeeper Shamal Kumar. Karan Singh and Amit Narayan of Muanikau were flashed red cards by referee Jone Cama for foul play. Manukau with former district reps Reenal Prasad, Shalen Lal, and Vishal Lal proved to be a better team in the second half. They started well and scored their first goal through Shaneel Sharma in the 45th minute. In the 55th minute Aaron Singh was brought down in the box by Shamal Kumar. Akshay Shandil extended the lead 2-0. Star turn: Akshay Shandil played a key role in the win. Big play: Striker Sheevan Sharma deserved the best player of the tournament award. Meanwhile, in the first semifinal, Labasa beat Nabua 1-0 while Manukau hammered Melbourne 4-0.